O.P. 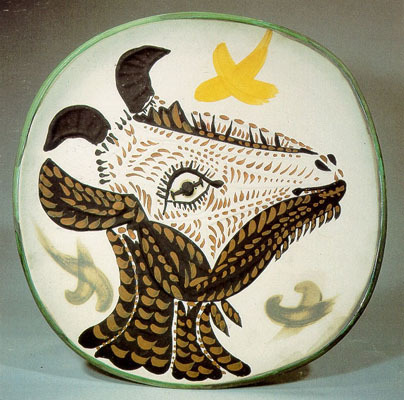 white earthenware clay, decoration in engobes and enamel under partial brushed glaze. colours: Black, russet, yellow, green, grege.